I’ve lost count of the times I’ve visited Barcelona over the years, I’ve been with work and with friends, I’ve been on a hen do and also on a romantic weekend break; however we have never actually been to Barcelona with kids. 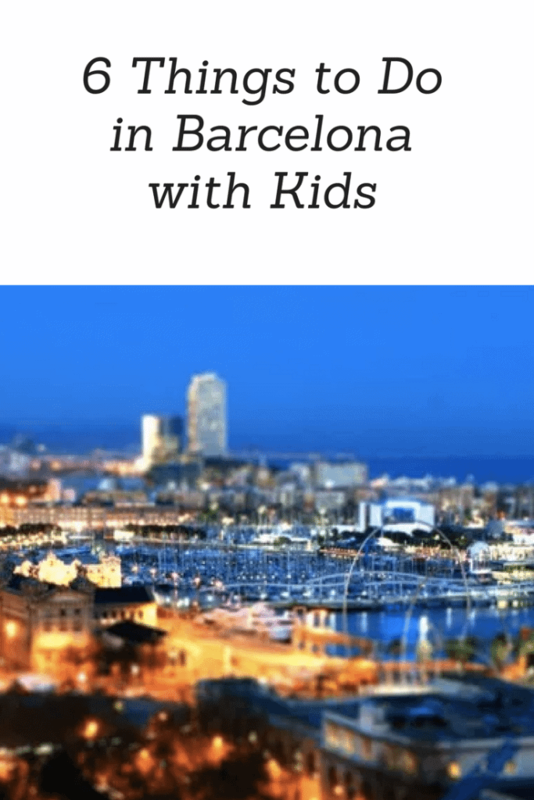 I was recently reading an interactive guide to Barcelona on Avis’s website and started to think about the reasons we might go and take the kids too! This fantastic aquarium gets the most wonderful reviews. It has Europe’s largest sea tunnel and at 80m-long it is definitely gong to be a hit with the kids. We once spent an afternoon in the Blue Planet closer to home trying to count the fish so my three would delight at trying to count the some 11,000 fish in this aquarium. There is an old-fashioned carousel outside and a large submarine they can play on! Make sure you are there for feeding times too, spread out throughout the day! 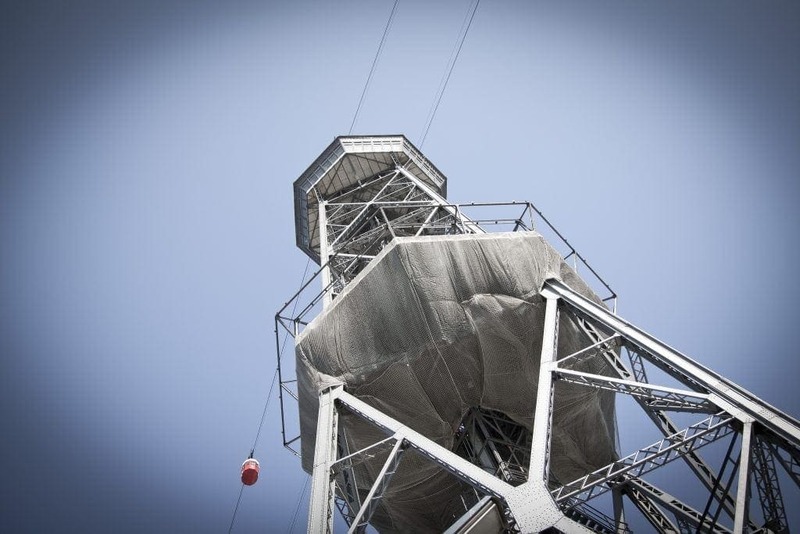 Two mountains stand on either side of Barcelona and there are two cable cars to delight you. One rides from Montjüic which crosses the sea over to Barceloneta and the beach, and the second goes up to the old castle. They both provide amazing yet different views and the kids would love to try these out. They do appear to be VERY high though!! One of the best things (and most Barcelona like if that is even a proper description) to do is take a visit to Park Guell. 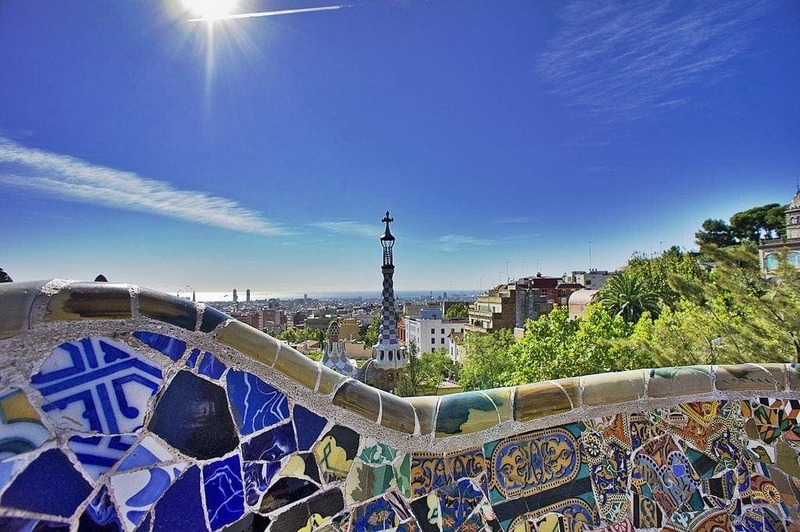 Park Guell is one of Barcelona’s 9 UNESCO World heritage sites but Gaudi’s fairytale park really is something else. There are Hansel and Gretel houses, ornamental dragons, and brightly coloured benches to sit upon and take a rest or eat an ice cream. Best of all it is free, and you and the kids can spend hours finding new things to see and colours to find. Best of all take some paper and get the kids to draw what they see! 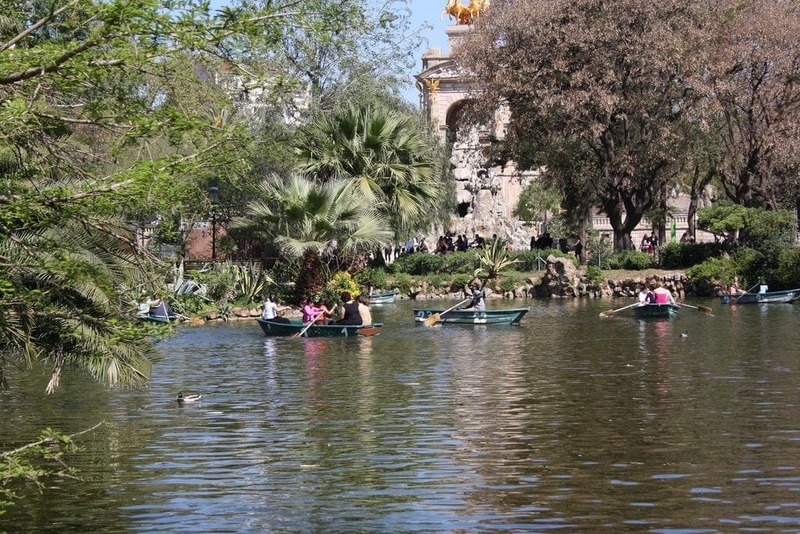 Not only is this park a good chance to get away from the hustle and bustle of Barcelona’s streets, it also has a Zoo, rowing boats you can take out on the lake, fountains to play in (in hot weather), and lots of secret hideaways. A highlight is often the giant life sized Wooly Mammoth too as the kids love to sit on his trunk, but there are also lot of playgrounds too. 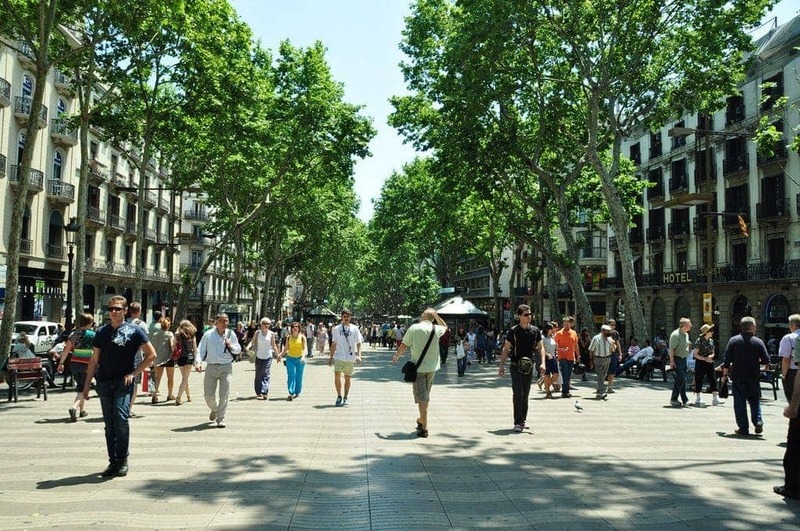 You can’t visit Barcelona without strolling down La Rambla. It’s a must do. There are street sellers, majicians, human statues, flamenco dancers and human fire eaters! It’s crazy busy and fun fun fun. Watch out for pickpockets yes, but make sure you go with the flow and enjoy the experience. Fun for all the family! Tibidabo Amusement Park is located a little way out of the city centre and you’ll want to drive unless you feel like going on a serious day of hiking. You can easily rent a car in Barcelona and head out for there for the day. Tibidabo is the tallest mountain in the Serra de Collserola and the park boasts outstanding views of Barcelona. You don’t find heart stopping giddy rides in Tibidabo but the vintage charm more than makes up for it. There is a roller coaster, horror attraction, mysterious castles and crash cars but perhaps the most special thing is the view. You will literally marvel at the view of Barcelona below. 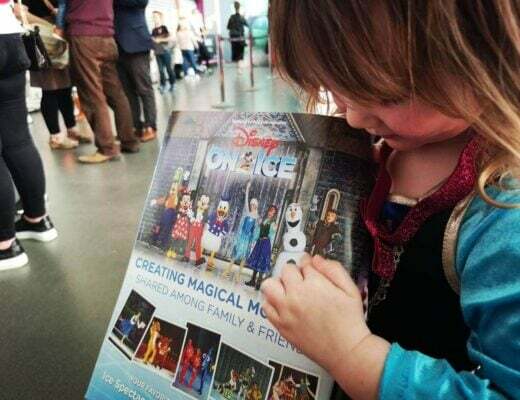 Day tickets cost €28.50 for adults and tickets for children below 120cm cost €10.30 (children below 90cm go free). You can also pay individually for some rides. For a more detailed guide to Barcelona check out this Ultimate Guide to Barcelona with Kids. 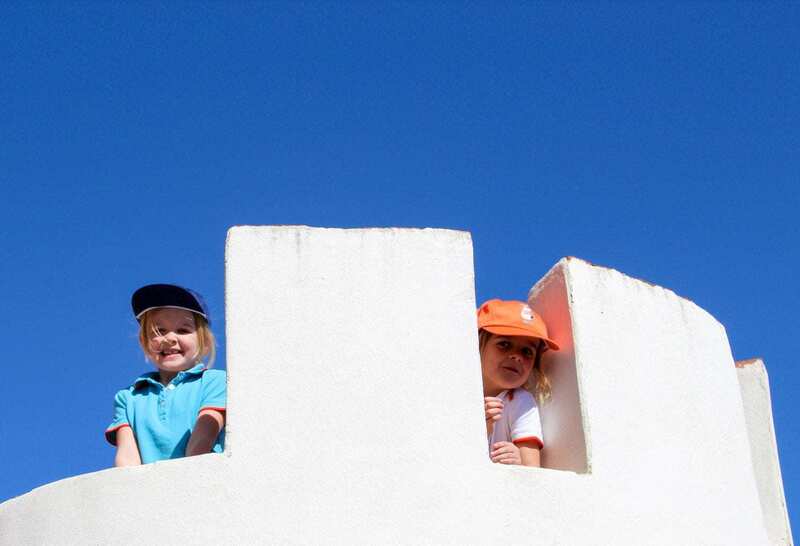 and you can also read a great post on 7 Ways to discover Barcelona with Kids from Claire at Tin Box Traveller here too. 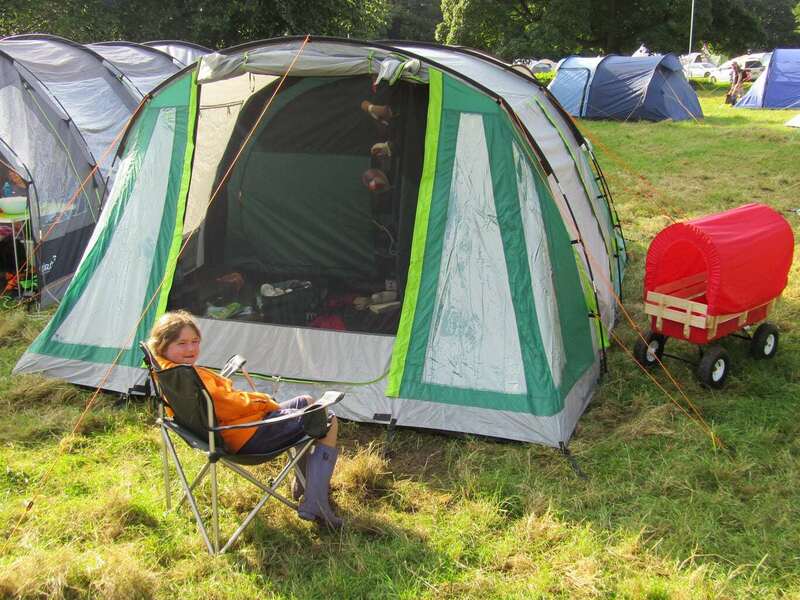 Review: Coleman Rocky Mountain Tent | Best 4 Person Tent? Is Hampton Court Palace Flower Show Child Friendly? Like you, I’ve been to Barcelona many times, but never with kids. I can imagine having a wonderful time there with them. Park Guell’s one of my favourite places – and the Ramblas has to be seen to be believed. I’ve also not been to Barcelona with my children. Parc Guell looks great and I would love to go the vintage theme park. I still adore carousels and it looks like a fun day trip out of the hustle and bustle of the city. 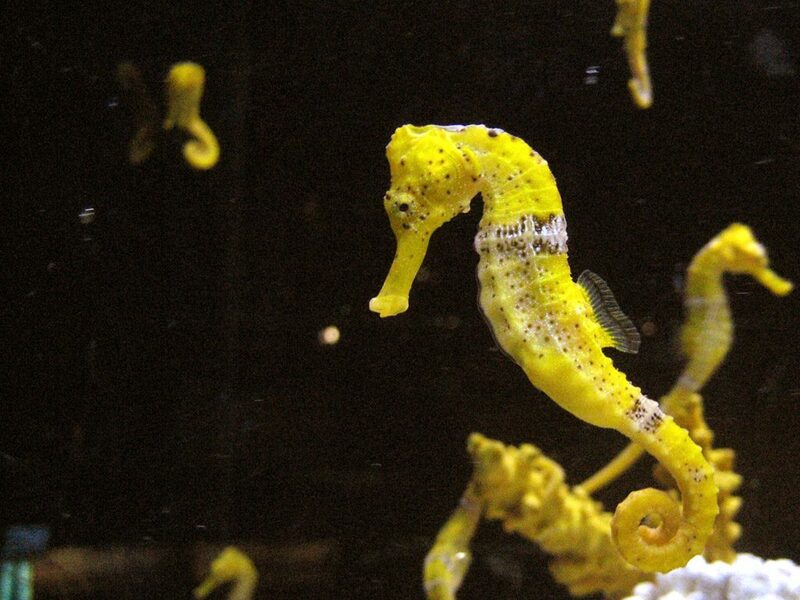 We can definitely recommend the aquarium and Park Güell with kids. We didn’t get to do the cable car or Parc de la Ciutadella during our last visit though. More reason for a return trip! Barcelona keeps popping up on my radar lately, and it’s been far too long since I last went. I only have good memories of the city, and even friends who live there! Got to sort this out!